Dave & Barbara's first record (a mad electronic re-working of Lesley Gore's 'It's My Party') topped the charts in the UK in 1981. 28 years later, the duo are still producing imaginative and intelligent pop music characterised by Barbara's soft, heavenly vocals and Dave's complex, musically adventurous arrangements. Their new album 'Green and Blue' features long-time collaborators Andy Reynolds (guitar), Gavin Harrison (drums), Peter Blegvad (narration) and the amazing Amorphous Choir of Wales on backing vocals. In a departure from their earlier style, 'Green and Blue' features only one cover version, marking Dave’s growing confidence as a songwriter. This is the duo’s most varied album to date, combining delicate, heart-rending ballads with moments of heavy metal fury, but the diverse material is unified by the trademark musicality which underpins all of Dave & Barbara's work. 'Green and Blue' (9 tracks, 67 minutes) ships on CD in a full-colour 4-page Digipak with a 12-page colour booklet containing all the song lyrics and a short sleeve note by Dave Stewart. A limited number of signed copies are also available at no extra cost. 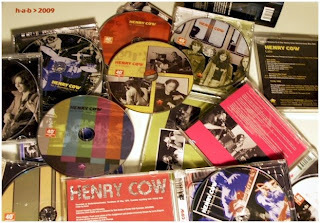 Accompanying Green and Blue is the CDR 'Hour Moon', featuring five bonus tracks, two of which were originally intended for the album. Also included are a cover of a classic '60s instrumental and a version of 'Henry & James' which appeared on a Flexidisc in a 1980's issue of Keyboard magazine (USA). Thanks to all the people who wrote to us about this track! Hour Moon ships in an eco-friendly cardboard wallet with its own artwork and explanatory notes. The two CDs will be released on March 27th 2009 and can be pre-ordered now from Stewart/Gaskin online store. A limited number will be signed by Dave & Barbara at no extra cost, so if you would like a signed copy of either please order now while stocks last. Dopo Hamtaï! di due anni fa, un altro doppio album viene dedicato alle musiche di Christian Vander, in tempo per rientrare nell'ambito dei festeggiamenti per il quarantennale del gruppo Magma. Lo pubblica l'etichetta Soleil Zeuhl, anch'essa in vena di festeggiamenti dopo dieci anni di attività, e si intitola Hur!. Partecipano tra gli altri Minimum Vital, Klaus Blasquiz & Steve Shehan, Ain Soph Aur, Thollophonie, Patrick Gauthier, Setna, Simon Steensland, Forgas Band, Guapo, Jannick Top, Gérard Prévost Trio, Erik Baron & D-Zakord. A Magma e Christian Vander sono dedicati copertina e l'articolo 'Les années Magma' del numero di marzo 2009 della rivista francese Rock & Folk. 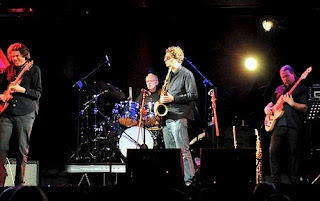 Ian Carr has been at the forefront of Jazz music for over 40 years. He began in his home town of Newcastle-Upon-Tyne, where he joined his brother Mike's modern Jazz group, the EmCee Five which ran successfully from the late 1950s until the early 1960s. He then co-led the innovative modern British Jazz group the Don Rendell/Ian Carr Quintet which released 5 albums on EMI Columbia's 'Lansdowne series' label. The Rendell-Carr Quintet is regarded by many as one of the most influential, important and original modern British Jazz groups ever. 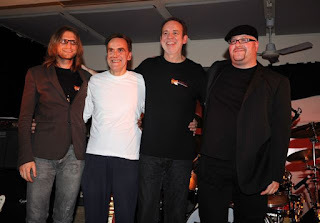 After the break-up of the Rendell-Carr Quintet, which also featured pianist Michael Garrick, Ian Carr went on to form the iconoclastic Jazz-Rock group Nucleus, which represented the United Kingdom at the 1970 Montreux Jazz Festival and won the award for top group that year. They also played the Newport Jazz Festival in the USA on the strength of Montreux. They released 12 albums either under the Nucleus or Ian Carr name between 1970 and 1980 and toured extensively worldwide. Carr wrote all the music for three of these albums (Solar Plexus, Labyrinth and Old Heartland of which the first two received bursaries from the Arts Council of Great Britain) and he wrote 8 of the 9 tracks on Out of the Long Dark. He has also made significant contributions to the recordings of compositions by Jazz composer Neil Ardley on the albums, A Kaleidoscope of Rainbows (with Nucleus), Harmony of the Spheres and Zyklus and to Jazz composer and pianist Keith Tippett’s Jazz orchestra Centipede on the album Septober Energy. He is also a founder member of the United Jazz and Rock Ensemble big band which has made over 10 albums between 1977 and 1999 and which continued to perform until 2002, in which year it gave a series of farewell concerts. As an author he has written several important books on Jazz including "Music Outside" (1973) which was republished as a 2nd edition in January 2008; the authorised biography of Miles Davis, "Miles Davis: A Critical Biography" (1982) which includes a third revised edition (1998). This is considered by many to be the definitive biography of Miles Davis. He also wrote "Keith Jarrett, The Man and his Music" (1992) and was co-author of "Jazz, the Essential Companion" (1987) and "The Rough Guide to Jazz" (3rd edition, 2004). As a broadcaster he has made many appearances on BBC Radio 3 including introducing a six part Jazz File series on Miles Davis in 2001. He was Programme Consultant for Mike Dibb's two-part Channel 4 television documentary "The Miles Davis Story", screened in April 2001. This attracted a record television audience for Jazz of 1.2 million viewers. Similarly, he was consultant on Mike Dibb's dcoumentary "Keith Jarrett - The Art Of Improvisation", screened on Channel 4 in December 2004. 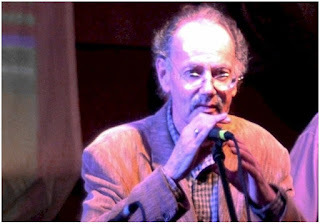 In May 2001, Ian Carr played with his old partner Don Rendell to a packed foyer audience at the Royal Festival Hall, in one of several concerts celebrating 50 years of the South Bank. The trumpeter, composer and author Ian Carr is one of the United Kingdom’s most important figures in contemporary Jazz music. As a musician, his contribution to Jazz has been exceptional and he has been a huge influence on generations of music lovers who have discovered the many layers of Jazz through an initial interest in Ian Carr’s music. His performances and recording work with his first major group, the Don Rendell/Ian Carr Quintet in the 1960s made him a legendary figure. However, it was his later group Nucleus which was responsible for spearheading a huge revival in modern Jazz music in the 1970s. 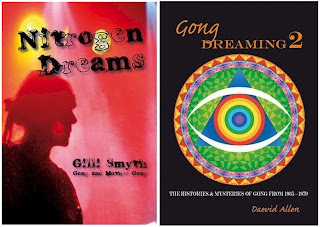 Nitrogen Dream - A compendium of the writings of Gilli Smyth, founding member of the infamous psychedelic rock bands Gong and Mother Gong, and a veteran of hundreds of poetry readings. Her first published work was for Kings College London, where she edited the college newspaper (and tangled with the tabloids). In Paris she worked with Daevid Allen and Soft Machine until the revolution in 1968 and still writes, performs and tours to this day. This is the first collection of her work and includes lavish illustrations, artworks and photos from the author's personal archives. Gong Dreaming 2: The Histories and Mysteries of Gong from 1969-1979 - The highly-anticipated second instalment of the wild, weird and wondrous history of Daevid Allen and Gong. Spanning 1969-1979, Gong Dreaming 2 covers the "classic" Gong period; the making of legendary albums such as Banana Moon, Camembert Electrique, Flying Teapot and Angel's Egg, and features appearances from Gilli Smyth, Steve Hillage and Richard Branson. Lavishly illustrated with over 150 phots and illustrations, Gong Dreaming 2 is destined to become a collector's item. 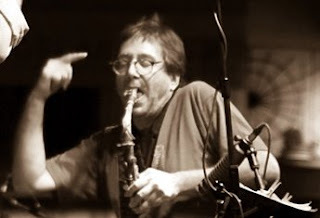 A fearless protagonist, John Zorn is renowned for his uncompromising music and resolute character - both of which have greatly influenced the progressive music scene. 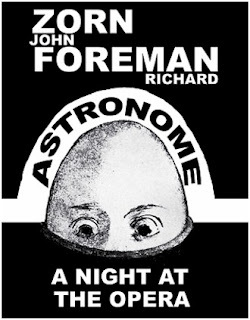 The multi-dimensional composer, performer, and improviser joins host David Garland to share samples from his mammoth music collection, and to talk about his most recent collaboration with American avant-garde playwright Richard Forman, entitled "Astronome: A Night at the Opera". Battiti su RadioTre trasmette un'intervista con Keith Tippett registrata l'estate scorsa in occasione del festival Ai confini tra Sardegna e Jazz 2008 a S. Anna Arresi. La prima parte andrà in onda stasera (dalle ore 00.10, nella notte tra mercoledì e giovedì), la seconda andrà in onda giovedì 19 (dalle ore 00.10, nella notte tra giovedì e venerdì). Battiti è successivamente riascoltabile in podcast. 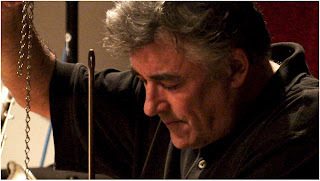 Compie oggi sessant'anni Fred Frith, nel bel mezzo di un giro di concerti statunitensi assieme a Maggie Nichols e Susan Alcorn, e per festeggiare annuncia per il prossimo aprile un concerto speciale presso il Mills College ad Oakland, California dove è insigne docente da ormai quasi dodici anni: interverranno tra gli altri William Winant, Joan Jeanrenaud, Myra Melford, Larry Ochs, Liz Allbee, Beth Custer, Minna Choi, Ikue Mori e Bob Ostertag. Frith suonerà con Cosa Brava. Del chitarrista e compositore sono appena usciti per l'etichetta Intakt due album realizzati con l'ensemble sassofonistico Arte Quartett: The Big Picture (con la ripresa del ciclo di Freedom in Fragments, pensato a suo tempo per il Rova) e Still Urban. Tanti auguri, Fred! Ancora interessanti ripescaggi sui blog di Continuo e Mutant Sounds: Cough, cassetta dal vivo del 1985 del gruppo Officer! guidato da Mick Hobbs, e un raro vinile di Heiner Goebbels, un 45giri uscito su Riskant nel 1982 con i brani 'Die Letzte Buche' e 'so wird der Schrecken ohne Ende langsam normales Leben', con la partecipazione di Christoph Anders e Chris Cutler. 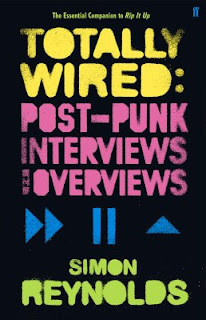 A book of conversations with the brilliant minds who made the late Seventies and early Eighties such a creative era for radical music and alternative culture, Totally Wired features 32 interviews with postpunk's most innovative musicians and colourful personalities - Ari Up, Jah Wobble, David Byrne, Phil Oakey, Lydia Lunch, David Thomas, Alan Vega, Linder, James Chance - as well as other movers and shakers of the period: label bosses and managers like Anthony H. Wilson and Bill Drummond, record producers such as Trevor Horn and Martin Rushent, and influential deejays and journalists like John Peel and Paul Morley. 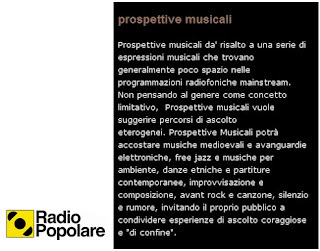 Buona l'idea di rendere disponibili in formato mp3 alcune puntate del programma Prospettive musicali, in onda su Radio Popolare ogni domenica dalle 22.35 alle 23.30 a cura di Alessandro Achilli, Fabio Barbieri e Gigi Longo. La puntata più recente, quella di domenica 8 febbraio 2009, si riascolta in http://sharebee.com/ff51ea98, con musiche di John & Beverley Martyn, Phil Manzanera & Firebird V11, French Frith Kaiser Thompson, Elliott Sharp's Terraplane, Art Ensemble of Chicago, Blue Notes, Red Buddha Theatre. 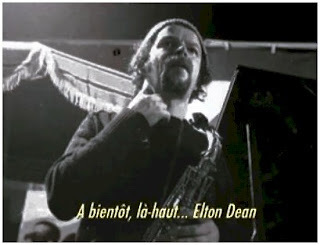 Si trova in tre spezzoni su YouTube il filmato presentato in occasione del concerto in memoria di Elton Dean presso il club parigino Le Triton, nel maggio 2006. Dura poco meno di 35 minuti, si intitola Psychic Warrior, da un brano di Alex Maguire, e compone un affettuoso ritratto del musicista e dell'uomo attingendo a interviste, concerti e immagini di varie epoche: un bel modo per ricordare il Nostro ancora oggi, a tre anni dalla scomparsa. Ciao Elton! Tre date londinesi al Ronnie Scott's Jazz Club - dal 9 all'11 febbraio prossimi - per il nuovo progetto di Phil Manzanera, il quartetto con Charles Hayward, Yaron Stavi e Leszek Mozdzer denominato Firebird V11. 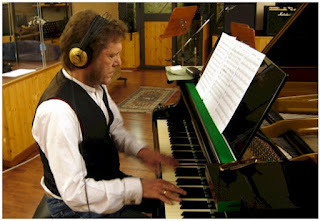 Leszek Mozdzer is one of Poland’s most famous and celebrated pianists whose style combines elements of ancient, classical and contemporary music, although he is classified by the critics as a jazzman. Born in Gdansk, he started playing the piano at the age of five, and graduated in 1996 from the Academy of Music in Gdansk. Leszek has won many prestigious awards, such as the international Grand Prix of Jazz Improvisation in Katowice. He has topped the ‘piano’ category ten times in Jazz Forum’s readers polls and was twice 'Musician of the Year'. 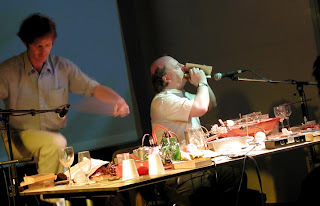 Charles Hayward is one of the UK’s leading experimental, jazz and rock drummers. He is well known as the pioneering drummer and founder member of the experimental rock group This Heat. Charles also played with Mal Dean's Amazing Band, Radar Favourites Dolphin Logic, and gigged and recorded with Phil Manzanera in the group Quiet Sun project as well as a short stint with Gong. After forming Camberwell Now with bassist Trefor Goronwy and tape manipulator Stephen Rickard the trio released several albums through the Swiss Recommended label. When Camberwell Now disbanded in 1987 Hayward embarked on a solo career which has continued to the present day. He debuted with Survive the Gesture (1987), Skew-whiff (1989) Switch on War (1991) and My Secret Alphabet (with Nick Doyne-Ditmas) in 1993. In 1998, he joined Massacre with Fred Frith and Bill Laswell. Throughout the 90's up to the present he has initiated a bewildering array of events and performances , including the widely acclaimed series Accidents + Emergencies at the Albany Theatre, Out of Body Orchestra (too much sound, not enough space, not enough time). This is his first live collaboration with Phil since the Quiet Sun project 1970. Yaron Stavi is a classically trained Israeli musician who has been playing in the jazz and rock field in Israel, Europe and the UK for the past fifteen years He studied the double bass in Israel with Eli Magen, a member of the Israeli Philharmonic Orchestra. He moved to Berlin and became principal bass player with the Berlin Philharmonic Orchestra. On moving to London, Yaron joined his long-time friend Gilad Atzmon as a member of the Orient House Ensemble. 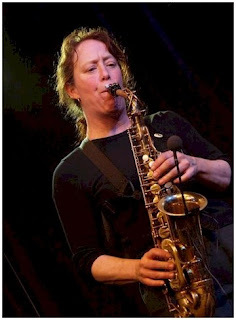 The band regularly tour Europe and have performed at the London Jazz Festivals and all over Europe. Yaron played on Robert Wyatt's album 'Cuckooland' and in 2007 'Comicopera' and has since been a regular at Phil's studio, playing on his albums 6PM, and 50 Minutes Later . 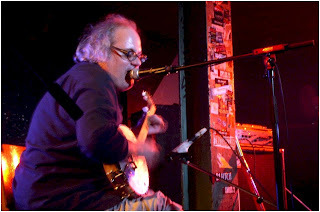 Inizia il prossimo 20 febbraio dal Centro Stabile di Cultura di S. Vito di Leguzzano (Vi) un nuovo lungo giro di concerti italiani per Eugene Chadbourne. - 20 febbraio, villa Ghirlanda Silva (via Frova 10), Sala degli affreschi: concerto finale. Informazioni e programma in http://tinyurl.com/cfe68t. La formazione attuale: Stella Vander, Isabelle Feuillebois, Hervé Aknin (voci), Bruno Ruder (tastiere), Benoît Alziary (vibrafono, tastiere), James MacGaw (chitarra), Philippe Bussonnet (basso elettrico) e Christian Vander (batteria, voce). Richard Foreman e John Zorn adattano per il teatro il secondo album di Moonchild (Mike Patton, Trevor Dunn e Joey Baron) producendo Astronome: A Night at the Opera, in scena a New York per due mesi a partire dal prossimo 5 febbraio 2009. Richard Foreman is one of the most important theatre directors in the world, and has been a personal hero of John Zorn's for over 30 years. This theatre/music piece is the historic first-time collaboration for two masters of the bizarre (both MacArthur geniuses) who individually have challenged, enlightened and entertained adventurous audiences for decades. Astronome: A Night at the Opera is a work dominated by ecstatic groans, grunts and babbling, and explores the initiation of a group of people into a world where ambiguous behavior alone leads to freedom--perhaps under the tutelage of the necessary "false messiah." This is one of those events that can only happen downtown - culminating from a chance meeting in the street - independent of any special grants, funding, institution or administration. Based on Astronome, the intense second cd of a series featuring Mike Patton, Trevor Dunn and Joey Baron, Richard Foreman's staging of it is absolutely stunning! 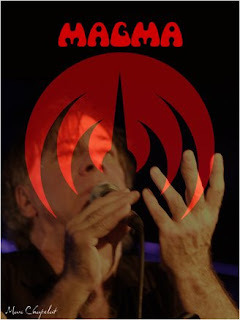 Tre concerti in Italia per Soft Machine Legacy: a Roma il 4 febbraio, a Trascore Balneario (Bg) il 5 e a Forlì il 6. La formazione in questo periodo comprende John Etheridge, John Marshall, Theo Travis e al basso elettrico - in assenza (ancora per poco, si spera) di Hugh Hopper - Fred T. Baker.